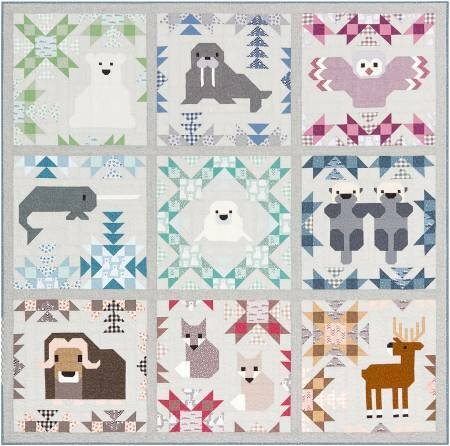 Arctic animal sampler quilt pattern featuring nine different mix-and-match blocks. Pattern includes large 82in x 82in, small 54in x 54in and pillow 24in x 24in options. Fat eighth friendly and made using conventional patchwork techniques. No paper piecing or templates! BOM-friendly pattern.